An original abstract, atmospheric landscape painting of The Isle of Rum winter sunset, Arisaig, Scottish Western Isles. Painting & prints of The Isle of Rum Winter Sunset, Scottish western Isles by Scottish landscape painter Andy Peutherer. Framed print of The Isle of Rum Winter Sunset, Scottish western Isles by Scottish landscape painter Andy Peutherer. 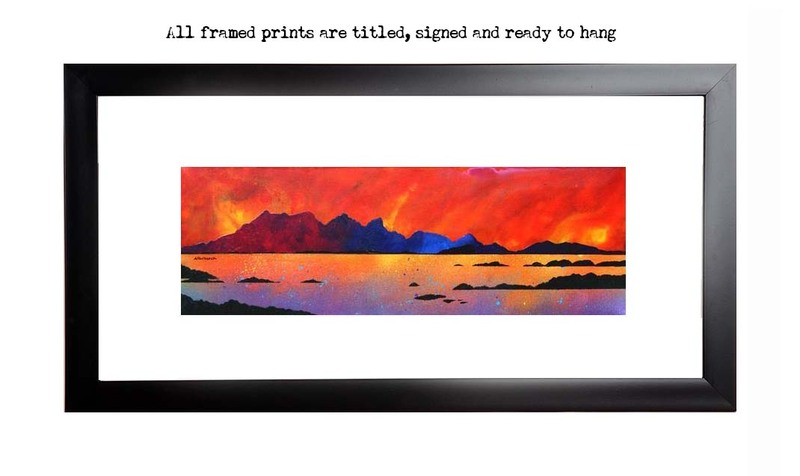 Paintings & Prints - The Isle of Rum Winter Sunset, Arisaig, Scottish Western Isles.